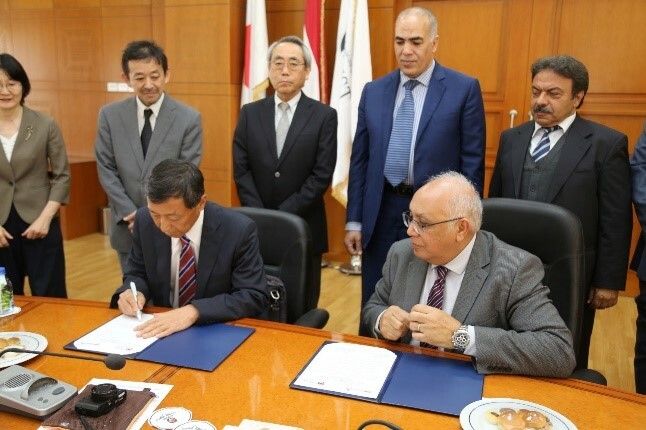 Signing Ceremony of Memorandum of Understanding for Cooperation (MoU) between E-JUST and the Japan Foundation, Cairo was held on 8 April 2019 at E-JUST. E-JUST will the largest cohort of students learning Japanese language and Japanese culture in Africa and maybe worldwide. 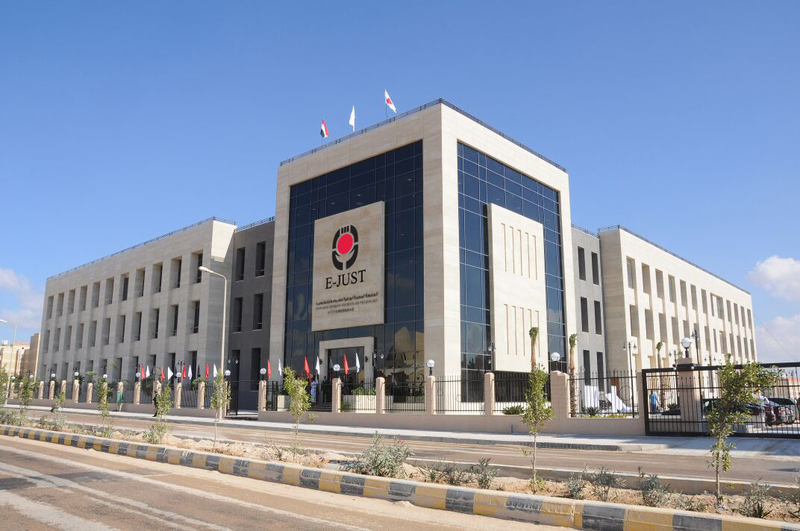 On the other hand, the Japan Foundation pursues cultural exchange, Japanese-language education overseas, and Japanese studies and intellectual exchange. Based on the common recognition of win-win situation for collaboration, E-JUST and the Japan Foundation has been cooperated in Japanese language education, Japanese Exhibition, Japanese Movie Show, etc. for students, faculty, staff members and local communities. 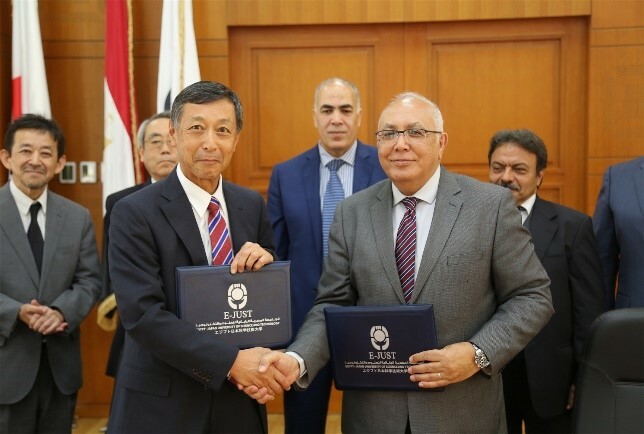 This time MoU was signed between Prof. El-Gohary, President of E-JUST and Mr. Fukazawa, director of the Japan Foundation, Cairo for confirming sustainable continuation of current win-win collaboration framework between both organizations.